Most of you probably didn't even notice my absence, but for those of you wondering where I've been. I was with my family on a magical vacation. 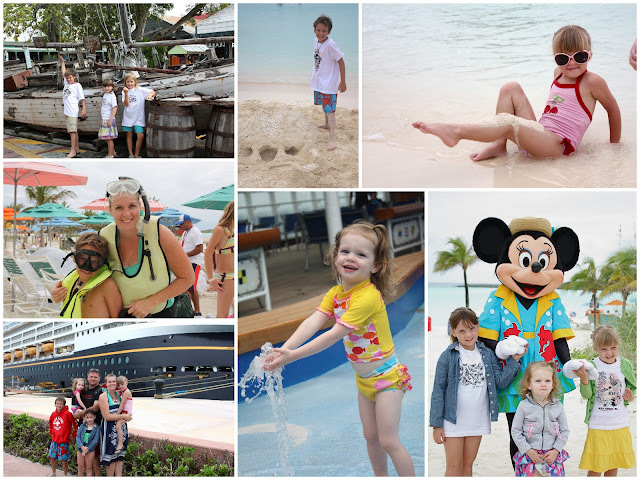 We visited the Western Caribbean with some of our favorite characters. Between getting ready and actually going, I didn't have time to blog. Hopefully you'll hear a lot from me this week as I've got halloween project to finish and a couple giveaways lined up. i missed you and i am SOOOOOOO jealous!! SUPER fun! I can wait to go on a Disney vacation some day!